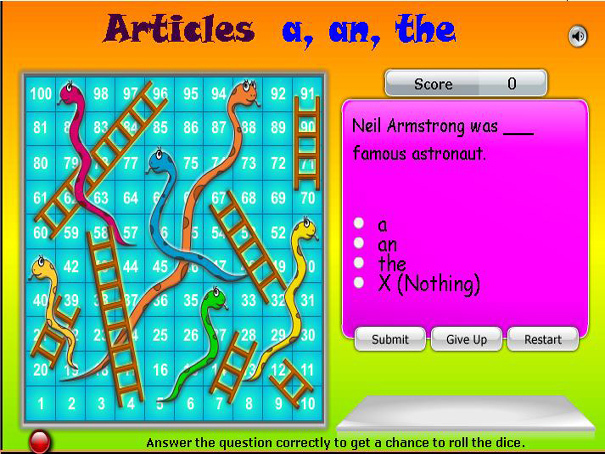 Play the classic game of Snakes and Ladders to practice your articles! Read the question and look at the 4 possible answers. Answer the question correctly to get a chance to roll the dice.